How do you create your own sunshine? For me, I create my own sunshine and rainbows daily, in the form of my eye makeup! Eyeshadows are my LIFE and I can never live without colouring my eyelids. I’ve tried to head out without eyeshadows once and I was very disturbed at how plain my eyelids looked. Do you have this problem too? Tell me I’m not alone! Well, even if I’m all alone in this, I’ll gladly be on my own because it brings me immense joy to play with makeup every morning before I head to work. Even if means waking up half an hour earlier, I’m not complaining because it’s the kind of sunshine I create for myself every day. The recent Christmas sales got me snagging a couple of new eyeshadow palettes and I just want to share with you some of the looks I’ve done for the past week! 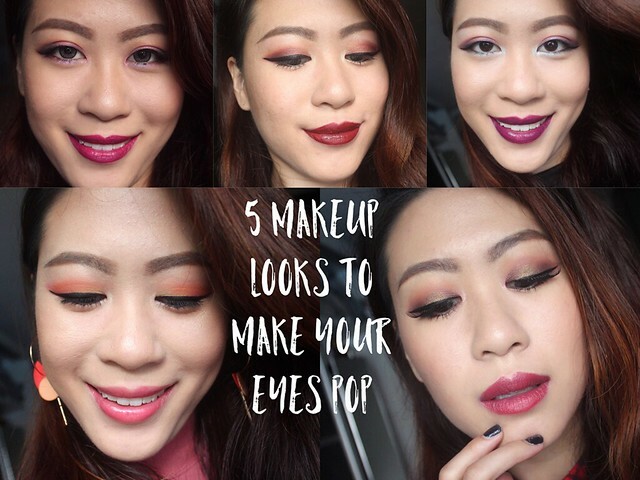 Here are 5 makeup looks to make your eyes pop. Hello again! I haven’t had the time to update and post lately due to busy schedules of having to rush to MAAD – the Market for Artists and Designers to showcase my handmade jewelry from Threadless Cove. If you haven’t had a clue on what this is, you can check it out here. So, as promised, here is my daily make up routine inclusive of the products I use on a daily basis. 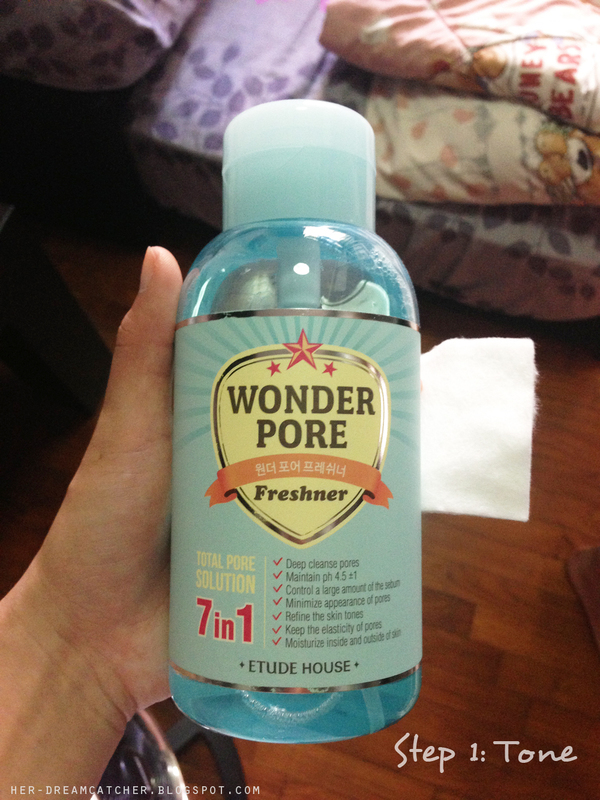 The first step to any makeup routine is definitely to cleanse and wash your face. Over here I kind of forgot to include that but I am using the Neutrogena Deep Clean Foaming Cleanser which effectively removes all dirt and oil and I feel that it really cleanses pretty thoroughly. It’s been a while since I updated! 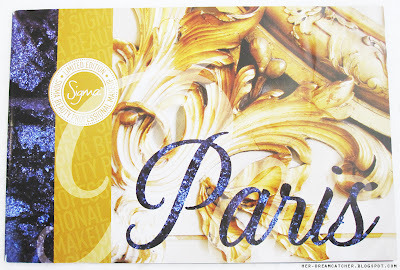 Today, I am going to review the highly raved Sigma Paris Palette that was released earlier in May this year. I got this a couple of months ago from Smoochiezz which is now called Oouii (I don’t even know how to properly pronounce this). It is a pity that they discontinued Sigma sprees so if you’re interested, you’ll be able to purchase it from Sigma directly. It costs US$59. The Sigma Paris Palette is a project that’s assigned to 7 amazing beauty gurus on Youtube (frmheadtotoe, xteeener, MakeupByTiffanyD, macNC40, petrilude, xsparkage and DulceCandy87). 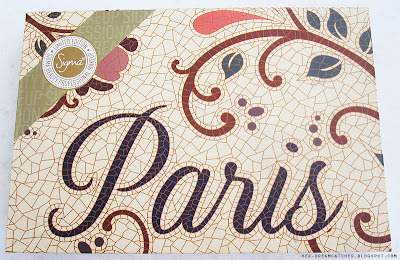 They were each assigned to a monument in the City of Lights, Paris, to creatively develop their own shade of eyeshadow based on the location. The entire palette is painstakingly contributed by the 7 gurus to cater to a wide range of skintones, including the blushes and brushes! Without further ado, let’s take a peek inside the palette! 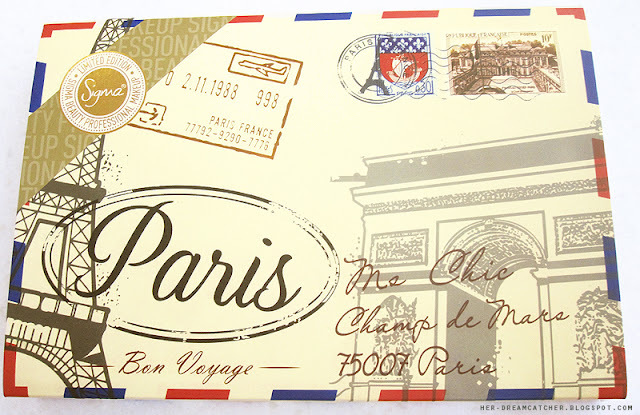 The palette is made of sturdy cardboard and it is absolutely gorgeous! 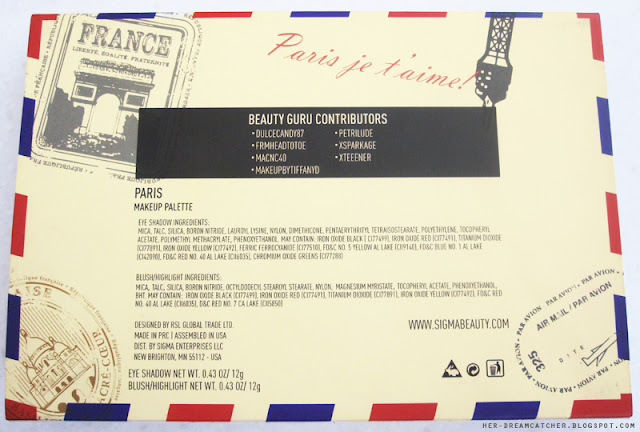 It comes with a booklet containing all the beauty gurus as well as a description of how they came up with their eyeshadow colours based on the monuments assigned. The day following Thanksgiving Day in the United States, traditionally the beginning of the Christmas shopping season. On this day, most major retailers open extremely early and offer promotional sales to kick off the holiday shopping season. So nevertheless… Here’s some mega awesomeeee Black Friday Sales ONLINE! You get to shop while you’re at home together with all the people in the States! Urban Decay – It’s just too bad that they don’t directly ship internationally! Rates at MyUS.com are crazy sky high! I’d be paying a lot more for shipping than the products though.